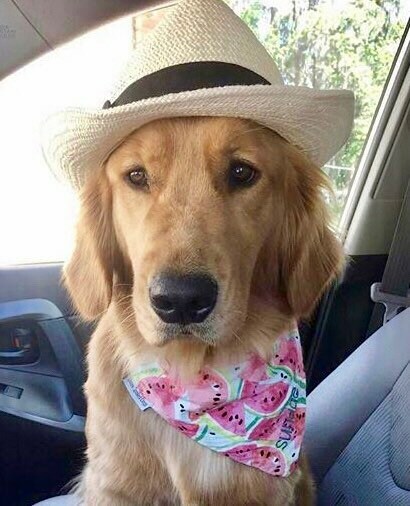 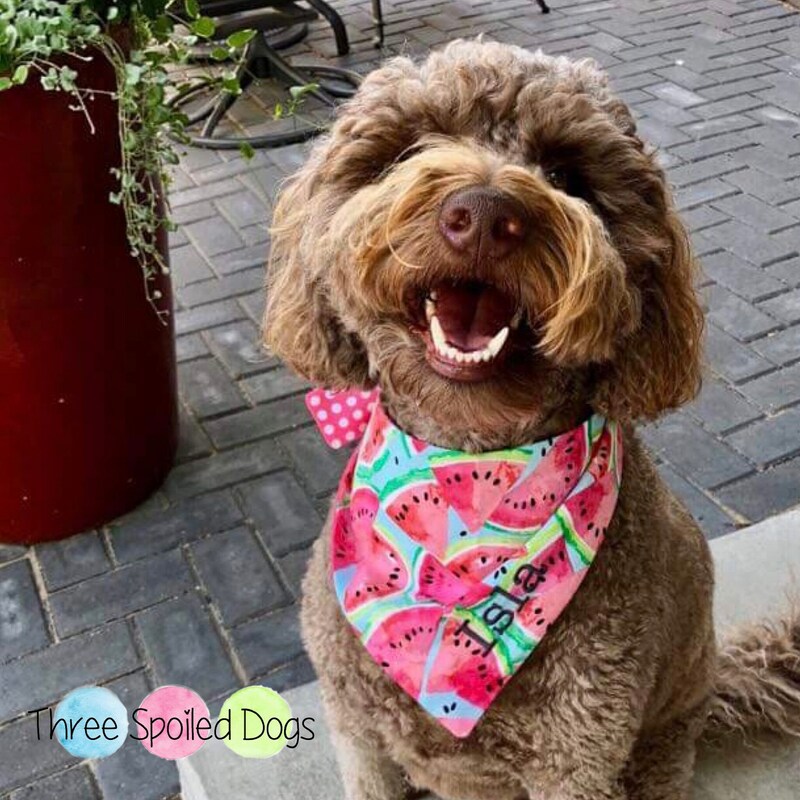 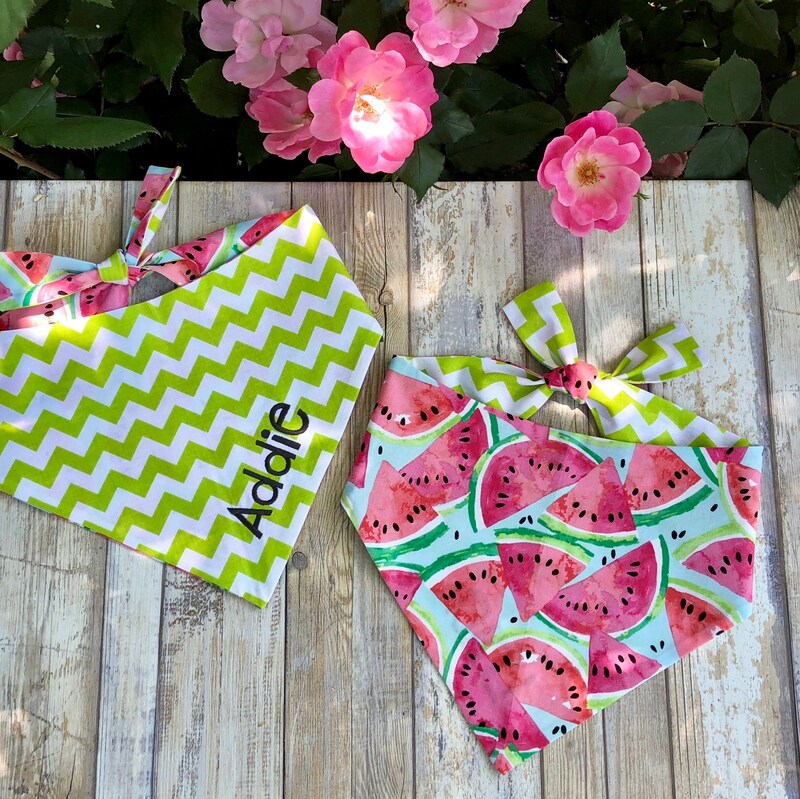 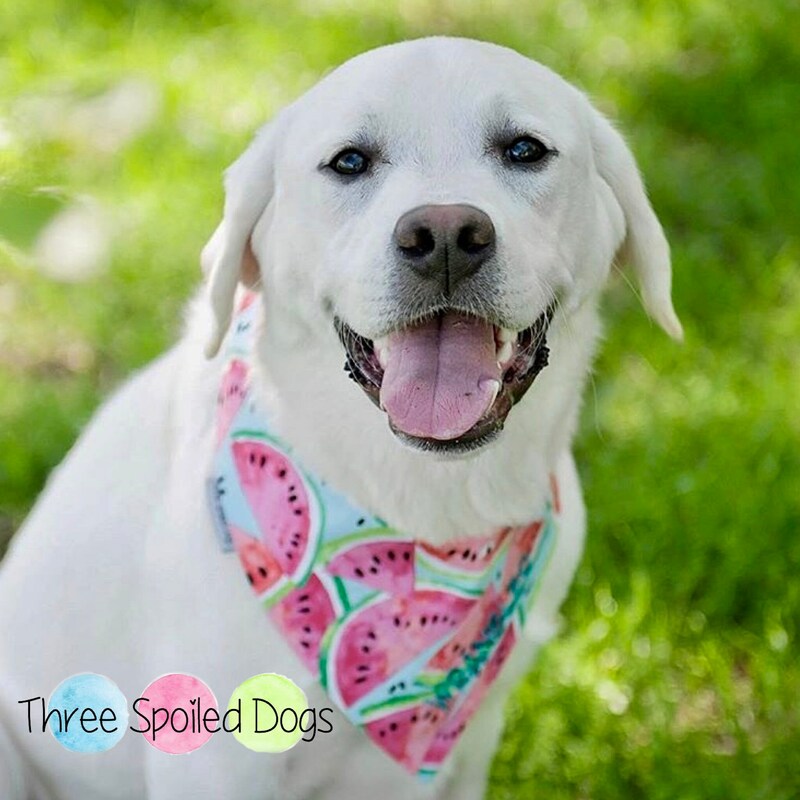 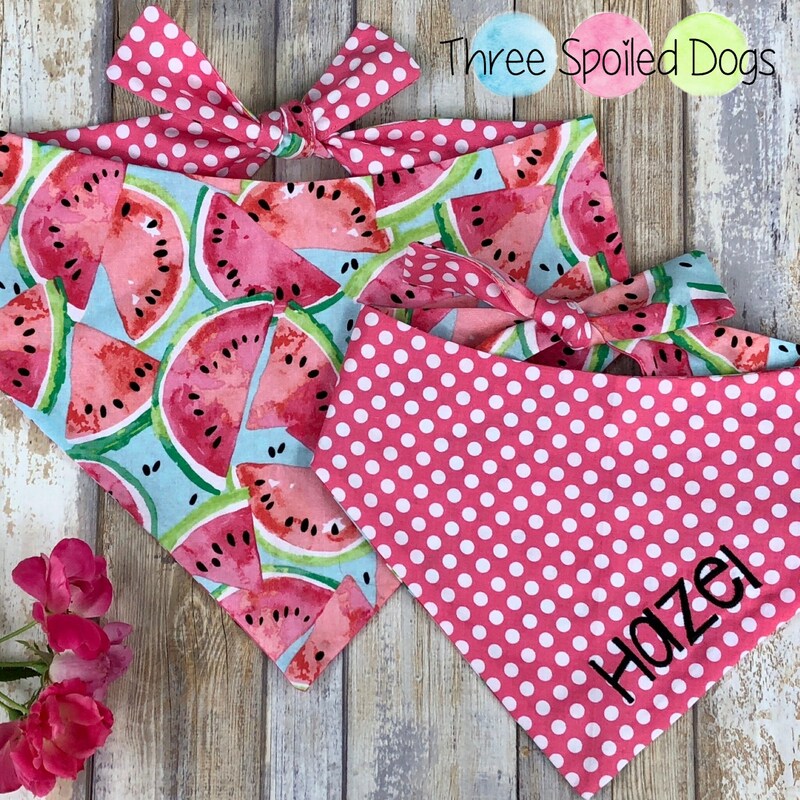 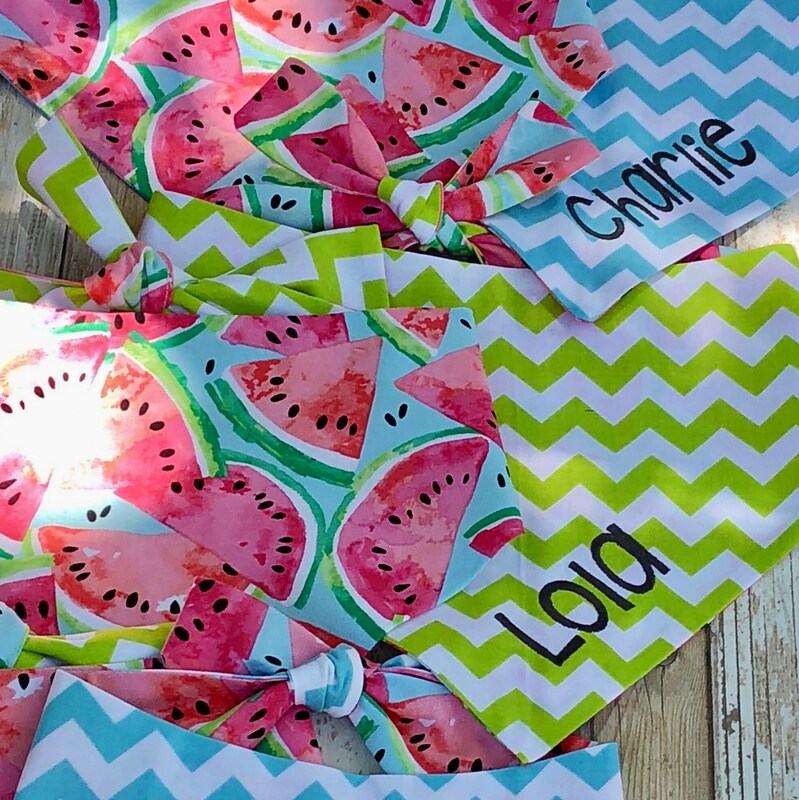 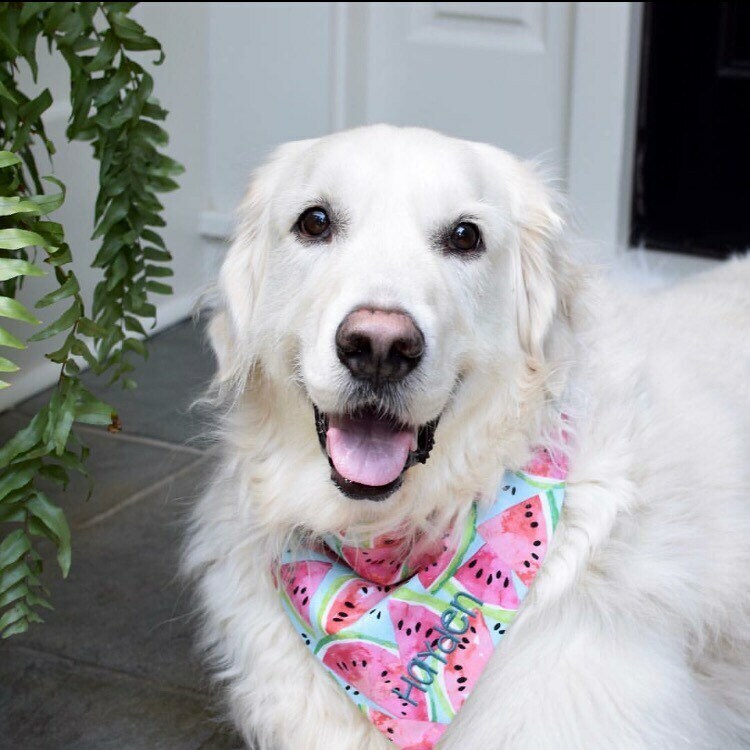 Personalized Watermelon Bandana 💫 Three Spoiled Dogs offers stylish and unique bandanas designed and finished to be reversible so you get two beautiful bandanas for the price of just one. 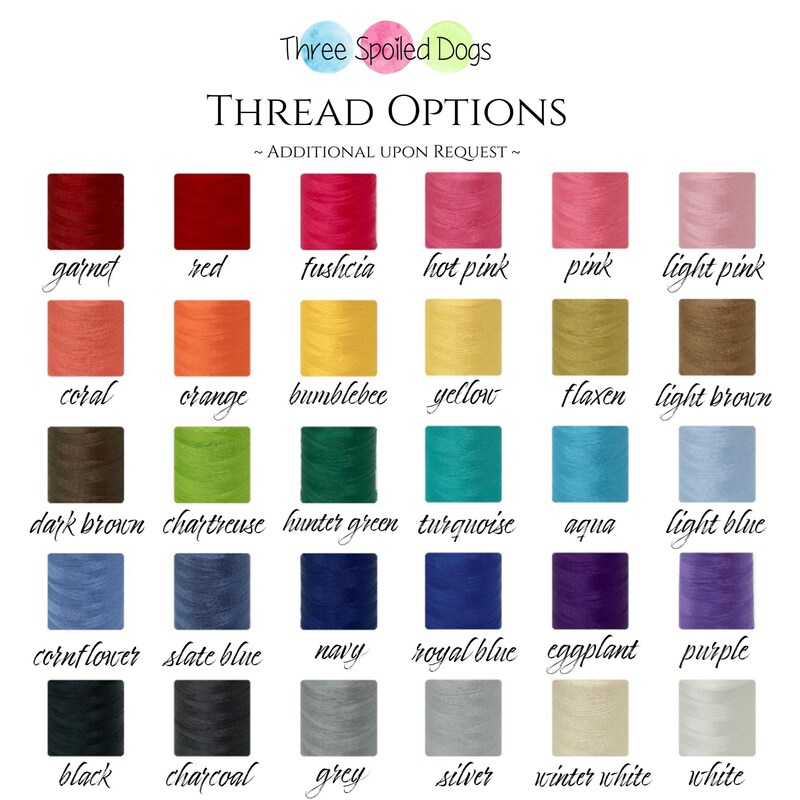 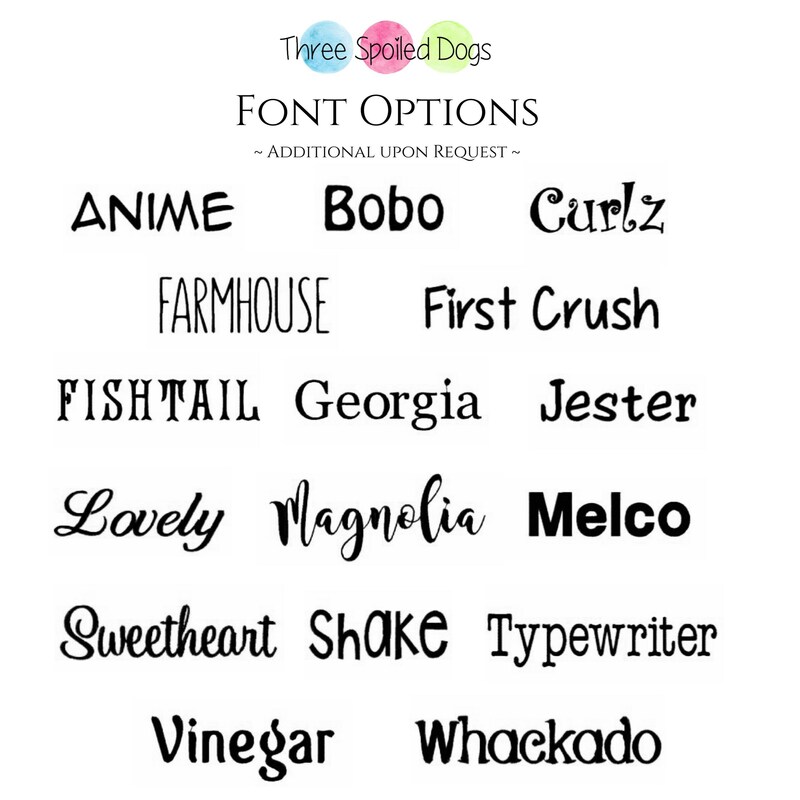 You have the option to embroider your pups name! 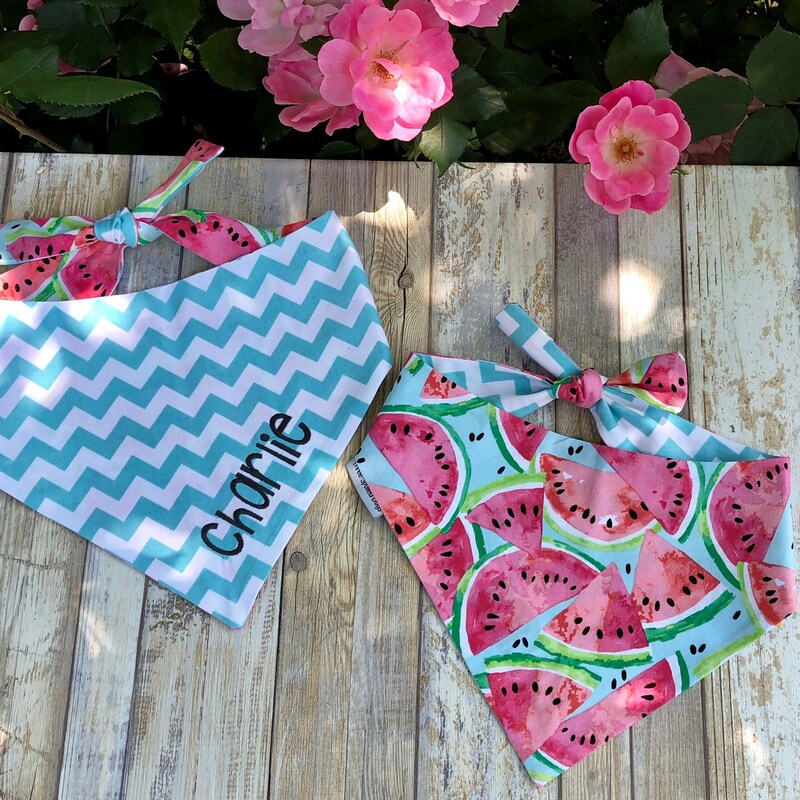 Back Options: Turquoise Dots, Pink Dots, Chevron or Turquoise Chevron - we will choose what looks best if you don’t have a preference.